‘Aisha, come down the serve tea to the guests’, her mother called. Taking a deep breath and fixing her veil over her head, Aisha slowly went down the winding staircase. The guests were sitting in the small room which served as a TV lounge and a room where visitors were entertained. Greeting the people sitting on the faded, blue sofa, she rolled in the trolley laden with tea, samosas and sweetmeats and started serving the guests. When she reached the man with the yellow shirt, she raised her eyes to catch a quick glance and was presented with a dark, fat man with oily hair who was looking at her with leery eyes. Aisha quickly averted her eyes and finished serving the guests before sitting down next to her mother. The question asked by the man’s mother were the same as always! How old she was, what had she studied and what was she currently doing. Aisha answered all queries politely and upon reaching the last, she looked up while answering, hesitant and nervous of the reaction. ‘I’m an air hostess with a private airline’, she volunteered. As she expected, the mother glanced at her son to see his reaction. The man in the yellow shirt flinched a little but continued to sip his tea. The conversation tapered off and as soon as the teacup was empty, the man stood up and taking their leave, the family left. This must have been the umpteenth viewing arranged by the marriage bureau lady over the course of the last two years, thought Aisha as she collected all the utensils and rolled the trolley back to the kitchen. Each time she was perplexed at how the family never contacted them again. Was it her dark looks and plump constitution, her easy-to-forget house in the back alleys of Old City of Lahore, or her job being an air hostess. Muddling over the inevitable answer, she started washing the dishes while hearing the hum of worried conversation in the drawing room between her mother and invalid father. Her mind flashed back to the day of the car accident, when her dreams of becoming a well sought out fashion designer were all shattered. It seemed like yesterday that on her way back from a College event, the truck driver in front lost control causing the truck to crash on the passenger side of her father’s car, crushing his legs and rendering him paralysed for all times to come. Life for her family spiralled out of control as expenses escalated through the roof and her brother Samee slowly bent under the weight of unpaid bills, until he became a shadow of his old self. One night at the hospital, Aisha saw an advertisement for young girls to apply for the position of air hostesses in a newly launched private airline. In normal circumstances, her parents would have never permitted this line of work as it was considered adverse to cultural and social expectations, but seeing the condition of her father, the stack of unpaid bills, and the worry in Samee’s eyes, her mother agreed to let her apply. The selection came through and Aisha started her training at the airline’s Head Office in Karachi. The two months spent at the Training Academy were long, rigorous and tiring, but the possibility of a permanent job with benefits kept her going. Upon completion of the training, Aisha went on her first flight and their financial worries eased a bit. Travelling to different cities was exciting and Aisha enjoyed the travelling, sightseeing and socializing with her new friends. But despite the enjoyment of these exciting days, she looked forward to her off duty time at home when she could help her mother look after her invalid father and do chores around the house. Though she was contributing financially to the household and bearing more than her fair share of responsibility, she was still riddled with guilt knowing that her father had not wanted her to go for that evening event in College the day the accident took place. In this cycle of on-duty and off-duty, the months passed and slowly turned into years. Though the worry for her marriage was hanging suspended like a dark cloud in her house, and Aisha could sense her parent’s eyes following her with unsaid words, but her fate had not changed. The viewings had reduced substantially since she had joined the airline, and deep in her heart, she knew that these would further taper off in the near future seeing that she had crossed her thirties, an age where the death of marriage proposals is unavoidable. This morning Aisha woke up feeling confident, and ready to face the world where a financially independent woman could cross over to the other side where being married was not the final destination. As long as she was earning, her family could be assured of a comfortable living without financial worry. The loud honking outside the gate snapped her out of her reverie, and rolling her travel case behind her she went out and sat in the airline coaster. After a long and circuitous route, the coaster turned the curve to the airport smoothly and came to a quick stop near the curb. The crew all stumbled out and convened near the boot of the car to collect their travel cases. Putting on a brave face, Aisha collected her case and wheeled it towards the entrance of the airport, ready to undertake yet another journey, this time flying to her favourite city Karachi, the city of lights! One of the items I brought back from my recent visit to the Duomo in Florence was a bracelet which was adorned with little crosses and a small disc engraved with a picture of Mary and baby Jesus. Upon my return back to regular and uneventful days, my pretty bracelet got lost somewhere in the confusion of my cupboard and its presence faded to some remote part of my memory. This morning while searching for a document of need, I emptied my cupboard and found the bracelet still packed in its box at the far end of the storage drawer. With excitement characteristic of a new buy and in remembrance of my wonderful trip, I wore the bracelet and left for office. During lunch I sat next to a colleague who happened to notice the shiny jewelery on my wrist and questioned me on the relevance of the small crosses and what the etching on the disk signified. His eyes opened wide with disbelief when I replied that the bracelet signified Mother Mary and Jesus; he could not believe that a Muslim could condescend to wear the sign of any other religion. The silence in the room became heavy and uncomfortable when I realized that all were looking at me with their own versions of interpretation; anger, disbelief, concern and questioning. My mind drifted back to my history classes in College and a famous quote came to mind; “You are free to go to your temples, you are free to go to your mosques or to any other place of worship in this State of Pakistan. You may belong to any religion, caste or creed”, Presidential address to the first Constituent Assembly in August 2017 by Muhammad Ali Jinnah, founder of Pakistan. Looking at our current state of religious intolerance, we could not be further away from this utopian wish Jinnah had nurtured in his heart when he fought tooth and nail for an Independent State of Pakistan. The reality on the ground is so polar and the examples so many that I’m glad he did not live long enough to see all his dreams of religious unity crumble into the sandy shores of Clifton beach. The terrible lynching of a University student in Mardan over a fake facebook account, or the burning down of Christian homes in Lahore by a crazy mob over alleged blasphemous remarks, or the murder of an accomplished Ahmadi professor in her University residence, or the fearful Jews living in hiding in Pakistan scared of declaring their true faith, or the Shia community of Pakistan who are being gunned down whilst driving back home to their families! Religious intolerance in Pakistan and across the Muslim world is on the rise and there seems to be no respite in view. I snapped out of my reverie when I realized that lunch hour had ended, and I wondered what I could say to ease the tension in the room: that I believed in religious freedom of thought and action, or that my mothers family was Roman Catholic and I had a part of that in my blood, or that I was convinced that only God knows what deeds and actions of us mortals would win his heart, or that simply I bought the bracelet because it was colourful and pretty! Burying my personal views deep in my heart, I rose from my chair and pretending to make a phone call, I walked out of the cafeteria and shut the door behind me. The bright shades of sunset…. Omar mopped the sweat on his brow with his dark and stained handkerchief as he furiously pedalled towards his university. His sister had lazed over his breakfast again which had led to an unpleasant tiff between them as getting in late to class was becoming a common occurrence. “If only we could afford some hired help”, he thought moving his legs laboriously up and down on the pedals, willing the effort to get him to University faster. As the road curved , the sprawling campus buildings loomed ahead; warm and inviting red brick architecture still reminiscent of the Mughal kings who had reigned over the city of Lahore for close to two hundred years. Omar braked sharply to avoid a motorbike coming from the other direction and weaved into his customary bicycle parking spot. Skipping over the verdant hedge, he cut through the vast expanse of green running up the stairs towards the hall where his class on “Anatomy” was taking place. The door creaked when he pushed it to enter the hall, and making himself as inconspicuous as possible, he made his way to where his friend Ali was sitting. He opened his notebook, and the rest of the lecture continued with the boys focusing all their attention on Dr. Khan’s drooping moustache, shiny head and droning voice. Omar was the eldest son of a family plagued with incessant struggle and misfortune. His father had never risen above the ranks of a clerk in the post office, compelling his mother to supplement the meagre family income by stitching clothes for the more affluent ladies of the locality. Being the eldest of four siblings including three sisters, Omar felt the unsaid pressure of a better future weighing down on his lean shoulders. His younger and most beautiful sister Saba had recently been divorced by her husband owing to her inability to bear a child. Though his parents did not voice their emotions, their eyes followed her with a look of hopelessness which was a mirror to how they felt inside. The burden of two more unmarried daughters was now more apparent in the stoop of their shoulders. Omar’s mother, once a strong and formidable woman, had become an almost unrecognizable shadow of her former self. Fiercely protective of her, he hoped someday he would be able to smooth the lines on her brow, now etched deep with a sense of permanence in them. A higher education seemed to be the only light at the end of this dark tunnel, hence he put in all his energy and focus in studying for his Medical degree. After the lecture, Omar and Ali made their way in the rising heat towards the University canteen to have their usual cup of tea amongst a horde of students all fighting for a place under the slowly whirring fan. “Chotu, do chai” yelled Ali in his booming voice whilst sitting on the corner table. The two friends were like chalk and cheese! Omar was dark skinned, lanky with a medium height and a quiet presence. Years of hard work and struggle had given him the countenance of an old man trapped inside a young body. On the other hand, Ali who was from the Northern region of Pakistan, was tall and broad built with a fair complexion and a loud voice which compelled people to notice his presence when he entered a room. He came from a well-to-do land owning family and had traveled to Lahore with a dream to improve the medical conditions in his antiquated village with the help of his Medical Degree. “We have to meet this Saturday to complete the Final Year Project” said Omar. “The exams and the Project submission are very close to each other and I don’t wish one to affect the performance of the other”. Ali raised his eyebrows and shook his head. “Omar, the exams are six months away. Take it easy and enjoy the last few days of freedom before reality hits us”, he smiled. The steaming tea arrived along with a plate of samosas perched precariously on Chotu’s hand. The hungry young men forgot all about exams and Projects and turned their attention to gratifying their gastronomic need. The canteen was a cacophony of loud sounds exaggerated in Lahore’s boiling heat, but was nevertheless, a welcome break for the students who had devoted five years of their prime life in this campus! A close look at each student’s face would have revealed a vigorous energy, propelled with the need to survive, but which would eventually take them towards hope and a better future. A few more months and this campus full of verdant fields, burnt brick buildings and airless halls would be left behind, and only the memories of tea drank with friends in the hot canteen, sleepless nights before exams and rushed bicycle rides would be left behind. But the treasure each student would take with him would be a certificate which would open doors to a more prosperous future. Omar looked forward to this more than ever; much as he loved his father, he envisioned a life beyond the stairs of the Post Office on which his father had stepped for twenty five years. His knees and legs had permanent scars collected after years of riding his bicycle in narrow and bumpy lanes, and he aspired for more and better. By the time Omar found himself pedaling back home, the sun was rapidly descending and the shadows were growing longer. Hunger was gnawing in the pit of his stomach and the anticipation of a hot meal cooked by his sister boosted his energy, making the effort of cycling a trifle easier. The street near his home was teeming with people in white skull caps heading towards the mosque for the evening prayer. Omar valiantly fought the urge to answer his gastronomic need before his religious duty and headed towards the mosque after securing his bicycle to a pole outside his small house with the peeling paint. As he left the mosque, the sun was setting and leaving in its wake a red and orange hue in the horizon. Seeing this creation of the Almighty, his heart surged with hope and at that moment he knew this his present days filled with anxiety, stress and worry would soon be replaced with bounty and a change in his destiny. Upon entering the house, he carelessly flung his satchel in the corner and before heading towards the kitchen in the hope of a hot meal, he gently swung his arm and shut the door on yet another day! The car behind me honked loudly and I skipped to the side of the road in order to avoid a collision. Weaving in between fast moving motorcycles, cars and trucks, I headed towards the sidewalk to sit and rest in the shade. The dusty road divider had a sole tree with its few branches providing a semblance of shade, and a host of children with snotty noses were all clamoring to find a spot underneath. I hopped and skipped while avoiding cars as my feet were burning on the hot metallic road: I was barefoot as today was my sister’s turn to wear the slippers we shared. Finally upon reaching the sidewalk, I lifted my sore feet and blew on them to try and reduce the pain. I could see my ‘mother-of-the-day’ waving to me to get back on the road and approach stopping cars, but I pretended not to see her as the heat was unbearable. For as long as I can remember, my days started with a bunch of ‘mothers’ and ‘children’ leaving the shanty town where we lived and spending a large part of the day in an allocated begging spot. Hot or cold weather, wet or dry days, the leader of the ring ensured that the lot of us was swarming around the traffic light and cajoling passersby to hand us alms. Some days a yellow substance on a filthy bandage was applied to my forehead, while on others, my arm was put in a dirty sling; though I must say I was lucky not to have my arm or leg broken like some of the children in our group, but the sling was most uncomfortable and I sneakily removed it when no one was watching. According to the leaders of our group, people were more sympathetic when children were badly maimed, hurt or blind. In fact, in order to appeal to the sensitivities of the passersby, under nourished and starving children were scattered at all traffic crossings and made to thrust their little hands inside the open car windows. The one meal a day strategy ensured that we were underweight and sick looking with dark circles under our eyes; unbelievably skinny yet highly prized, little people like me were in great demand in the dark world of human trafficking! Today I had no desire to go knocking incessantly on car windows, so I turned my back to the watchful eyes of our guards and tried to rest under the sparse tree. The sweltering heat coupled with the lack of nutrition made me listless and my eyelids closed inadvertently. As I drifted further and further away from my painful reality, I imagined the lives of people who passed by; children in spotlessly clean school uniforms heading to school: an anxious mother wiping away an invisible crumb on her child’s mouth: friends singing together to loud music blaring from the car stereo speakers; families piled together heading for a day out: and the smiles, oh the happy smiles of children secure in their comfort! How different their lives were from mine! How I wish I was the smiling baby sitting in the shiny car on her mothers lap, or the chubby girl with pigtails wearing the white school uniform, or how about the tall, fair girl with the blue hairband and glittering bangles! Many a nights I had lain awake wondering who my real family was, where I came from, and why my fate had tied me to these roads; but young though I was, I understood that no matter which way the sun rose, the drudgery, pain and humiliation surrounding me would never change. Sadness weighed on me like a punishment, and my heart sank deeper and deeper till there was no more place left for it to go. Suddenly I heard my name being called out; my eyes flew open and I snapped out of my reverie when I saw the beggar mafia ‘guard’ in charge of the area menacingly signaling for me to go back and start my work. Wiping the tears rolling down my cheeks, I collected my impossible dreams and unattainable desires, and locked them tightly in my little heart. Covering my head with a tattered veil in the hope of protecting myself from the blazing sun, I hobbled back to the large freeway and waited for the traffic light to turn red. The air hostess led the two children to their seats and after ensuring the seat belts were in place, went off to assist other passengers. As the doors of the plane shut, Sana’s heart sank and her eyes started to water. She turned to hold her brother’s hand knowing that the feeling of loneliness and despair was also coursing through his blood. It was the end of another summer vacation; a vacation spent with their beloved grandparents in London. This moment in time also signaled the start of another long and interminable wait till the next vacations neared and the exercise of crossing dates off the calendar began. To make his sister feel better, Raza magnanimously allowed Sana to take the coveted window seat. The plane was noisy and teeming with people searching for their seats and trying to find place for their hand luggage in the over head compartments. Eventually a lull settled in the cabin as people buckled up their belts and the plane picked up speed while taxiing. In a flash, the child in Sana resurfaced and she stuck her nose to the cold window waiting for the aircraft to lift and carry her back home to Karachi, her home, her friends, and most importantly, her father. Sana and her brother Raza were the products of a deep love marriage between their parents which took off in the right direction, but somewhere along the way the fabric of life began to unwind when their mother’s illness was diagnosed: leaving in its wake two children bound by nature to their parents, but torn physically apart from the womb which had nurtured them and endured the pain of procreation. Their father, Riaz had moved back to Karachi after the death of his wife taking the two children with him. The separation from their beloved grandparents after the demise of their mother was naturally painful as it signified another snip in their close family, but all vacations were spent in London where the children would feel the presence of their mother in the arms of their grandparents. The journey was interminable with the bouts of boredom only broken by the food and drinks which excited the children. Sana struggled in vain to watch a movie on the small television monitor placed at the back of the front seat, with air phones which were bulky and kept slipping off her small and childlike ears. Raza, on the other hand, kept his nose in his Hardy Boys book which had temporarily transported him into a world of mystery and simple crime. His deep sense of responsibility made him look up occasionally to check on Sana and her fidgety self to ensure that she was okay. After a tiring flight over parts of Europe and Asia, the plane began to descend towards a much awaited landing as the children were tired out by the cramped seats and the weight of their drained emotions. With impatience, which is characteristic of spirited children, the brother and sister duo headed towards the exit doors to be greeted by a blast of hot air, a cacophony of loud sounds, and a smell which is distinctively local. “Welcome to Karachi” screamed the billboard as the children ran down the shaky staircase, eager to get away from their confined home of the last eight hours. The queues at the baggage claim were endless and porters were jostling the tired passengers to earn a few rupees. Raza signaled a reed thin, dark skinned man who ran eagerly towards them with his creaking trolley, while Sana shouted with joy upon seeing the familiar red suitcase on the moving carousel and urged the porter to lift it and place it on the trolley. It was a sight to behold as the two young children with tired faces and crumpled clothes, the dark skinned porter, and the red suitcase moved towards the arrival area. The children eagerly scanned the sea of people looking for a familiar face. After a few long, anxious minutes, Sana spotted her father and sprinted towards him. Her beloved Baba smiled broadly and bent down to take his daughter in his arms after an absence of a long month, whispering gently in her ear, “Welcome home, my dear”. With blood streaming in my eyes, I struggle to cover my head in order to ward off the blows coming from all directions. I tried to shout out to ask them to stop, but I could only croak and no sound came out. The mob drew closer and closer to me till I felt my world darkening and closing in on me. The last I remember hearing is the sound of my skull cracking with the impact of a harsh blow, and while entering the dark vortex of unconsciousness, my mind drifted to the events of the morning. I was a University student at Abdul Wali Khan University in Mardan; conscientious, hard working and well liked by my teachers. Living in the hostel, I missed the warmth and love of my home, but I also valued the importance of education. Other than participating in discussions in the classroom, I also enjoyed reading about the world on the internet as I was pursuing a degree in Journalism. At the end of each day, I would enter my hostel room, and after washing up, would open my books to study hard and achieve my dreams of becoming a journalist. My room was my haven and I felt a sense of inner peace each time I read the posters I had put up on the walls with cheap tape, ‘Allah is the greatest and Prophet Muhammad is the messenger of God’. This love for my religion and Prophet gave me strength, and made my life away from my beloved family easier to bear. Today the day started in a strange way; my hostel room is ransacked and my things thrown around to my sheer disbelief. As I start walking towards the University building, some students surround me and accuse me of blasphemy. ‘Blasphemy, me!’, I wonder as I remember the posters adorning the walls of my room. The crowd around me swells and the voices become louder and louder; the shouting sounds are making a reference to my Facebook account where anti Islam sentiments have been expressed. My mind flashed to the Facebook status I had recently updated “I don’t have another Facebook account and if someone sends you a request with my ID and display picture, please report to me”. I try to shout above the din that that was not me on Facebook, and that it was a fake account, but my voice gets lost in the shouts of the mob. “Fake account, someone is trying to show a negative image of me’ I repeat again and again and again, but no one is listening to me. As the first blow hits me, I reel backwards and fall on the ground; I’m petrified, hurt, bleeding and I want to go home. As another blow hits me, I miss the loving arms of my mother who was always there to protect me. As the third blow bends me over, I think of my father and his desire that I should become a successful journalist. As the blood gushes out of my head with unbearable pain, I am convinced I don’t want an education anymore; I’m convinced I don’t want a University degree if this is what humans can become in a sacred place of learning. As the lynching continues, I feel myself losing consciousness for the last and final time. I take a deep, last breath and utter the prayer, “God is the greatest” before fading into nothingness. My name is Mashal Khan and I am innocent. As I dash from one weekend errand to the next, running across town over the vast expanse of Karachi, I can’t help thinking of my city as my first love. Though I have fallen in love with other cities since: Milan, Como and London, my heart still lusts after my first love….a love which consumed me leaving me exhausted, yet who’s company I enjoyed in my growing up days. My first love Karachi, who holds the secrets of my memories: the long clandestine drives to the beach, the first puff of a cigarette, the late night tambaku walla pan! The last two decades have seen my city harden and become more cynical. She has lost some of her looks, becoming dirtier and decrepit with the passing of time. Bursting at its seams with a multitude of people from diverse religious and ethnic backgrounds all thrown together in this hot and angry melting pot. This social, religious and economic chasm is ever widening with her inhabitants welding their arms at the smallest possible reason. There are times the smell of burning dreams suffocate me and I wish to turn away from this, rather than see my love disintegrate into smoke, yet I hold on; to memories of better days, to the ever lasting friendships this city has given me, and to the salty air which is ever so familiar. Karachi is no longer the same person I knew when I was growing up, and neither am I the same girl anymore; yet despite her scars and deep, frown lines she has acquired under the weight of her changing constitution, I keep wondering what would happen if we decided to break up and I moved far away from her. With those thoughts in mind, I drive back home taking the ever familiar Seaview road. As I wait at the traffic light, I open the window and smell the familiar sea air, and hear the hawkers trying to peddle their ware amidst the sound of the sea water crashing against the rocks; at that very moment, my heart soars renewing my love for this aching city. As the light turns green, I shift the gear and drive on thinking ‘ Its good to be home’. We all live with different shades of colour within us; bright and cheery when the day is going well, and grey and black when the heart is feeling heavy. Life is like a kaleidoscope which keeps us in a perpetual search for mornings when we look outside the window, hoping for a colourful rainbow to make us smile! Sadly, anti Muslim sentiment is very high these days with Trump setting up travel bans, and members of the “So Called Islamic State” spreading chaos all over the world: religious tensions are on the increase and friendships are forced to change. Stereotyping is prevalent and Muslims are being persecuted only for their faith, and not for their personal actions. I watched a TV show on Australian TV where the debate escalated becoming bitter and unpalatable. In the end, the Muslim lady invited the audience to read up about Islam with a very unbiased and open mind in order to understand that the religion itself is all about peace and love, and that the ISIS and terrorists are only harbingers of bad news. – After the Prophet and The First Muslim, both by Lezlie Hazleton. All three books are very well researched and detailed. 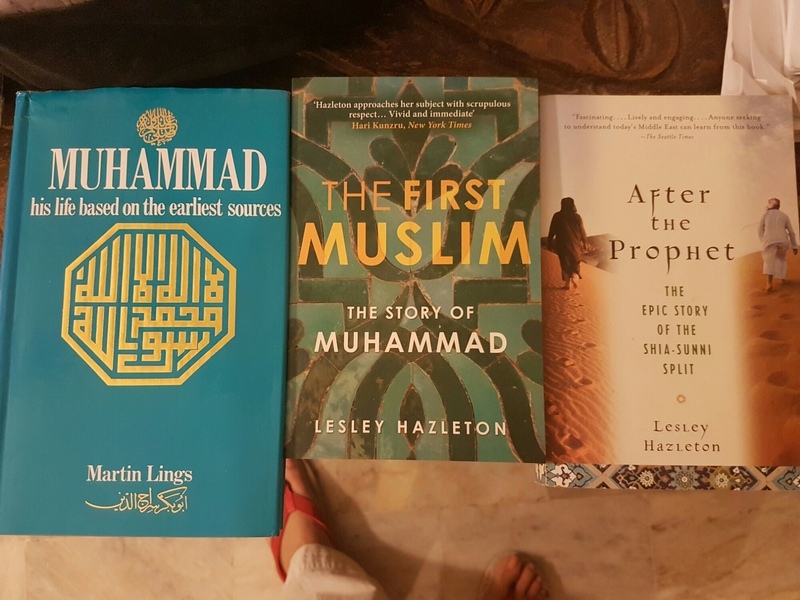 The interesting thing to ponder is that all these books are written by non Muslims who must have approached this sensitive topic with a critical eye and preconceived ideas. Yet they have emerged triumphant and presented their learnings which speak for all the misunderstood creed!! Can love be this strong, lasting and undying? Is it a myth or a reality that man can live only on love? until they land in the Museum which Kemal creates for his loved one. 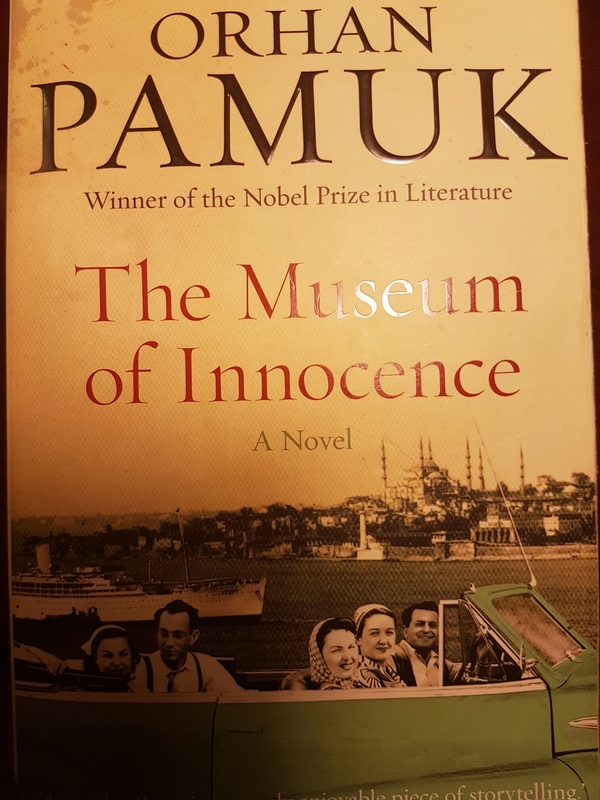 The Museum actually exists in Istanbul and if you take your copy of the book along, entry is free of charge.